With over 40 years of experience in the antique, vintage and classic Buick parts business, ClassicBuicks.com has helped many Buick owners find restoration parts. Their site has a large selection and inventory of Buick parts. The Parts Place Inc. is Chicago's largest supplier of GM Muscle Car Parts. They carry a large inventory of parts for classic Buick muscle cars, have good customer service, are fairly priced and shipping is quite good. Original Parts Group offers thousands of parts and accessories for 1961-63 and 1964-72 A-body Buick Special, Skylark and GS/GSX and Riviera models. Our extensive catalog offers nearly everything from sheet metal, chrome and upholstery to engine parts and the hard-to-find details to finish a restoration with show-winning attention to detail. Rust repair, auto body parts, repair panels, floor mats, carpeting, seat covers, weatherstripping & more. RockAuto ships thousands of auto parts from over 300 manufacturers to customers throughout the world. The RockAuto catalog is updated daily with mechanical parts like brake pads and shock absorbers, body parts like bumpers and mirrors, interior trim like door handles and carpets, and major assemblies like steering gears, CV axles, engine long blocks, and complete transmissions. There are no mechanics on staff (RockAuto is a store, not a repair shop) but service manuals are available to help customers learn how to perform a repair. The RockAuto catalog is expanding constantly. They stock a large supply of parts for most Buicks. Restoration parts for Oldsmobile and Buick, including power option switches, rubber parts, door sill plates, etc. are products we have manufactured to our strict specifications. In addition, we provide "in house" rebuilding services for heater control valves, windshield wiper motors, power steering pumps and more. 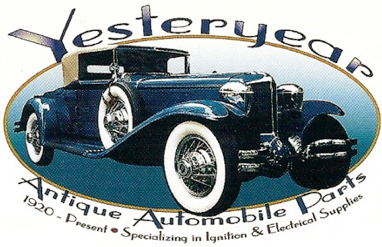 Restoration Specialties & Supply is a supplier of hard to find antique and street rod restoration parts. They carry a wide variety of items such as window channel, belt weatherstrips, rubber bumpers and grommets, weatherstripping, clips and fasteners, finishing screws and other items as well. We are specialists in ignition systems and electrical parts for a wide range of American cars from 1920 to the present day. Our inventory contains the best NOS and reproduction parts available. Parts available include: electrical, ignition, heater, A/C, switches, relays, solenoids, lamps, power windows, power seat switches, convertible top switches. Stainless fasteners, washers, bolts, screws, clamps, engine, body bolts. Car-Part.com is the fastest way to search thousands of auto recyclers' inventories to find exactly the part you need. There are over 120 million inventoried parts in the Car-Part.com database, and the search is quick and simple – you can choose the standard search or multi-part search if you know what you need, and if you aren't sure you can use the image search to easily click on the correct part. Rebuild fuel & water pumps. Electrical fuel pumps.